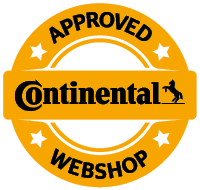 Yourtyres.co.uk is a tyre trader for commercial customers like workshops or tyre dealers. We stock rims, tyres, replacement parts, motor oil and other accessories - all at low prices and with attractive conditions of sale. Our warehouse holds tens of thousands of products, enabling us to fulfil large orders with ease. We understand your need to focus on core business activities - that's why we attach great importance to saving you time with simple order and payment processes. What are my advantages as a partner of yourtyres.co.uk? large selection & highly available products. Simple ordering process around the clock & 7 days a week. What does our tyre range include? How do I become a distributor customer of yourtyres.co.uk ? Click on ,,Register now!'' on the right hand side. Attention: in parallel with your registration on our website please also send us your Trade registration certificate. After reviewing your data, you will receive an activation email with all data.